Apple has reportedly cut iPhone prices in India by around a quarter, following a similar move by the company in China. 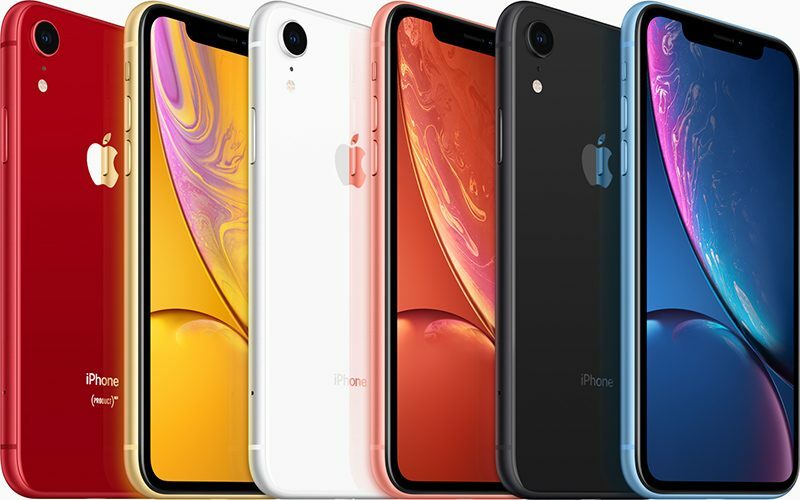 Sources who spoke to Reuters on Thursday said the price of an iPhone XR with 64GB storage has been reduced by at least 17,900 rupees ($259), taking into account a price cut and a credit card cashback campaign. Prices for the other two storage variants of the iPhone XR have also dropped, according to Reuters' sources, who called the pricing a "short-term promotional offer." With smartphone sales flattening in saturated markets like the U.S., Apple is said to have turned to India for new growth, but with "little success so far," claimed a report in December. Just one in four Indians own a smartphone, providing Apple with an opportunity to sell iPhones to millions of new customers in the country. However, with more than 75 percent of the smartphones sold in the country said to cost less than $250, India remains a very price-sensitive market, and a tough nut to crack for Apple. According to research firm Canalys, the number of iPhones shipped in India fell 40 percent in 2018 compared with 2017, and Apple's market share in the country dropped to about one percent from about two percent. Earlier this week, Apple also lowered the prices of several products in China, including the latest iPhones, iPads, and AirPods. The price cuts appeared to be due in part to a reduction in China's value-added tax (VAT), but any price cuts in China should be good news for Apple as it seeks to bolster sales there, too. Last quarter, Apple issued a revenue warning due to "fewer iPhone upgrades" than it anticipated and "significantly greater" than expected economic weakness in the Greater China region. Apple had already discounted iPhone prices at third-party resellers in China to improve results. This is what happens if we stop paying their ridiculous prices. If only we were strong enough. When Poland? We have prices at least 23% higher than in US! Taking in account 4x lower salaries it is robbery! India has something that Apple wants. A potentially untapped market for expansion. Poland doesn't. That's not a knock against Poland. It's just a numbers game. Even if the majority of Indians can't afford an iPhone, the population is large enough where the small percentage of potential customers who can afford an iPhone make up a sufficiently attractive number to Apple. We can all speculate as to the reason. But regardless, Apple belongs to the super premium segment. Indian consumers aren't buying many super premium smartphones, regardless of brand. I've presented just the facts. Apple was a growing brand until iPhone X prices hit the market with steep prices. This almost the same story in every single markey outside of USA. One call super premium, luxury etc...but when smart consumers are presented with better choices, obviously the most valued one gets picked. Still to expensive for a smartphone with a 828p screen lol. Anyway hopefully more customers will vote with their wallets. Apple greed of pricing their product out of most people reach is going to bite them. Tim Cook is everything where Steve Job didn't stand for. The original iPhone introduced by Steve Jobs in 2007 cost as much as $599. In today’s money that’s $730. Which is basically an XR price tag. In comparison we are getting WAAAAAAAY more bang for the buck now. Oh also In case you forgot which I’m sure you have. Apple lowered the price of the iPhone (under Steve Jobs) just months after launch due to backlash. History lesson over. Everyone needs to stop with the “this wouldn’t have happened with Steve BS”. It’s getting old. So, about 91 Million phones are sold higher than $250, lets say that 75% are still below the iPhone prices, that means about 22 million people can afford an iPhone on a population of 1.365.000.000 people. Just trying to figure out/guestimating numbers of potential buyers. Put those numbers into a business perspective. There are over 230 countries on the planet. Out of that number of countries, only 57 have a total population greater than your estimated 22 million Indians who can afford an iPhone. Put another way, the potential customer base for Apple in India is greater than the individual populations of over 170 countries. Granted, we're using your made up numbers for conversation purposes. But I don't think your numbers are that unrealistic. Potential in India, when judged against potential elsewhere... we can start to see why Apple seems to want it so badly. I think it's misleading. It might be true in the past, but not now. All other mobile companies are making money except Apple. iPhones are expensive in India and you can buy 2 Note 9 512GB and some money left for the price of XS Max 512 GB. Those numbers are unfortunately, way off. The "super premium" market segment ($700+) in India is closer to 1-2 million units per year. According to IDC, the premium segment ($500+) represented only 3% in 2018. Last year, 142 million smartphones were shipped. The super premium segment is controlled by Samsung and Apple. Combined, those two haven't shipped more than a couple million units in 2018. By the time the super premium segment in India reaches the hypothetical 20 million units per year, it'll be a post-smartphone era. It is not because they don't have money to buy stupid smartphones, because they don't see value in it! Many of my associations are from well-off background(CEOs, Business people) and possible millionaires but seldom flaunt expensive mobiles. They just have the Android or some cheapest working iPhones for few selective stuffs like calls, messages, music, WhatsApp and Facebook. They don't care about the camera quality and endless debate on display quality etc....Indians mindset on buying expensive stuffs are typically linked with investment. If they don't see resale or ROI, they choose the most cheapest rout to manage the situation. Certainly, not due to lack of funds! The max retail price for XR now is INR 60k. That’s approx USD 850. And in reality you can get it as low as INR 54k which is approx USD 770. Note 9 is more expensive in India. As is Mate 20 Pro. Not by much. So mostly the same price class now. S10 is roughly in the same price class too. 512 Note 9 is maybe 90k to 100k or so. Same as XS 64 GB. Mate 20 Pro I think is 60-70k after discount.